Hailing from Cincinnati, Open Burn was formed a mere three years ago by veterans of the local underground metal scene. 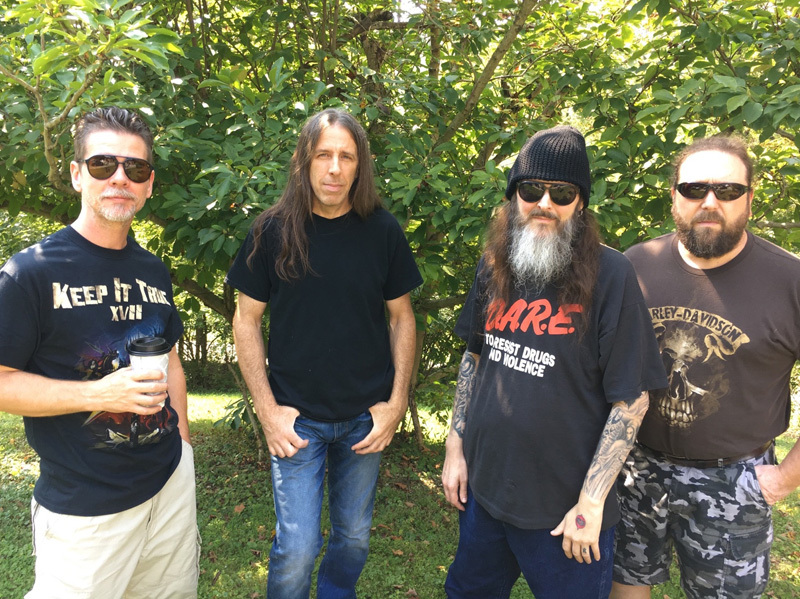 The band features three members from power metal band Lethal (still active), Dell Hull (guitars), Glen Cook (bass) and Jerry Hartman (drums) with Eric W. Johns (ex First Born, Simple Aggression) on vocals. The band dropped a five song self-title EP in 2017. Now Open Burn return with their first long player, Divine Intermission, which includes the songs from the EP with four new songs. Essentially, Open Burn delivers traditional American "keep it true" heavy metal, influenced by the NWoBHM invasion of the Eighties. They easily work melody and harmony into riff rich arrangements, which are in turn powered by some gallop and groove from the rhythm section, and then finished with thrilling guitar solos. For his part vocalis Eric Johns sings clean and melodic, yet with a touch of metal screamo. For the songs, you get some straight up heavy power metal with Drawing Lines, Prison Of Me, and Pointless, a rather bombastic and hard hitting metal tune. Several songs present a similar theme, starting with a softer introduction, often lighter electric guitar, before dropping into the heavy metal groove, and then ending with light outro. These include Statues, A Stone's Throw, Dissection Lullaby, and Seven Orchids. With that last song, the start is a combination of guitar and drums. Through all the songs I was quite impressed and pleased with Dell Hull's ambitious solos. 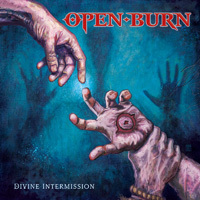 Fundamentally, if you dig classic and traditional melodic heavy metal, you will enjoy Open Burn's Divine Intermission. Recommended. If you dig classic and traditional melodic heavy metal, you will enjoy Open Burn's Divine Intermission. Recommended.